Successfully Added WHDI Wireless High Definition Video Transmitter + Receiver - 10 Meter IR Range to your Shopping Cart. WHDI Wireless High Definition Video Transmitter and Receiver with a 10 Meter IR Range is a great way to view your multimedia. 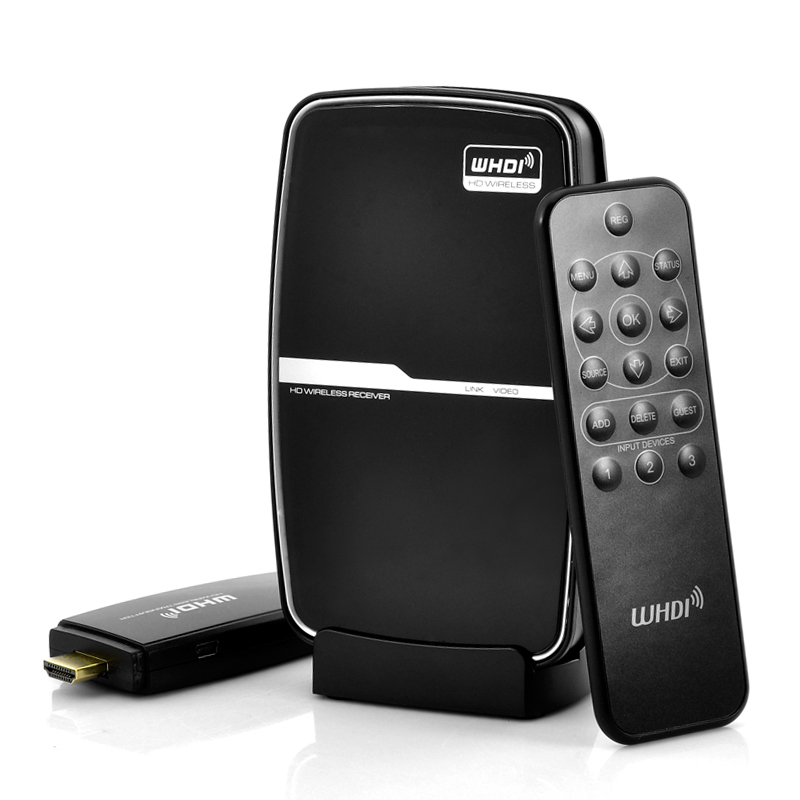 A great tool wireless media viewing is this WHDI high definition wireless HD media transmitter and receiver, as it runs at 5GHz operation frequency to deliver uncompressed HD video as well as audio. This transmitter and receiver set-up makes a connection by using wireless high definition technology from HD media source devices such as game consoles, computers and DVD players to display devices such as projectors or TVs while keeping HD quality and no latency. Wireless Home Digital Interface (WHDI) is a consumer electronic specification designed for a wireless HDTV connectivity all the way through the home. Simple to use, just simply insert the portable transmitter in to the HD port of your media source and then place the receiver near your HD displayer and connect with the included cables. This wireless HD wireless and transmitter set up has a IR transmitting range of up to 10 meters as well as a transmission range in an open space of up to 50 meters. Supports high quality resolutions such as 1080P and 720P, therefore you can maintain the high quality picture during the transmission as well as actually being able to transmit it. 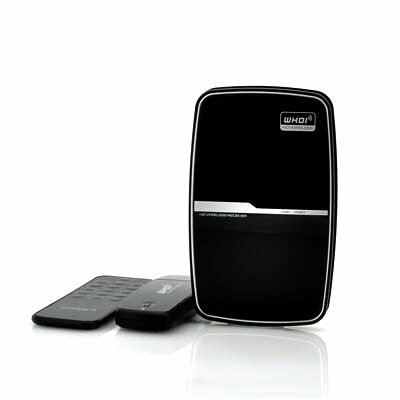 This product is in stock and can be dispatched within 24 hours of ordering with a 12 month warranty. Brought to you by the leaders in wholesale electronics and home theaters, Chinavasion.